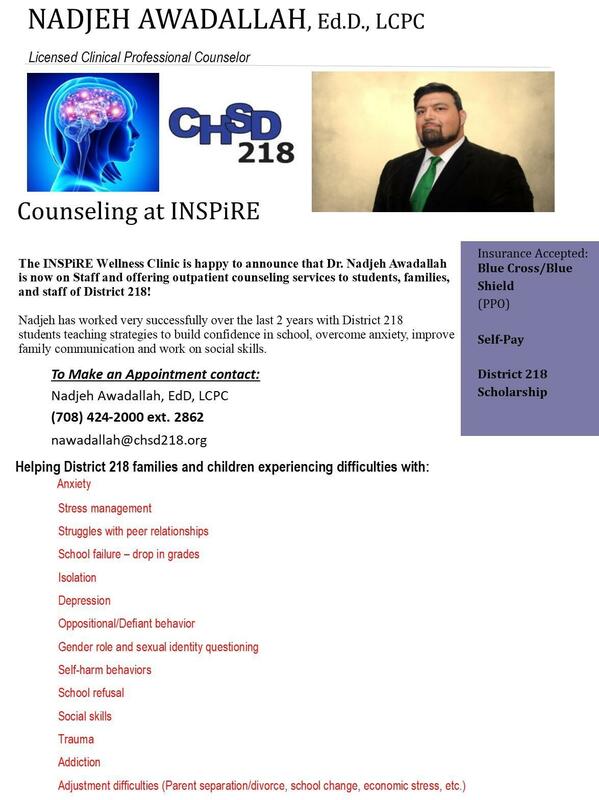 Community High School District 218 offers a variety of support services for our students. 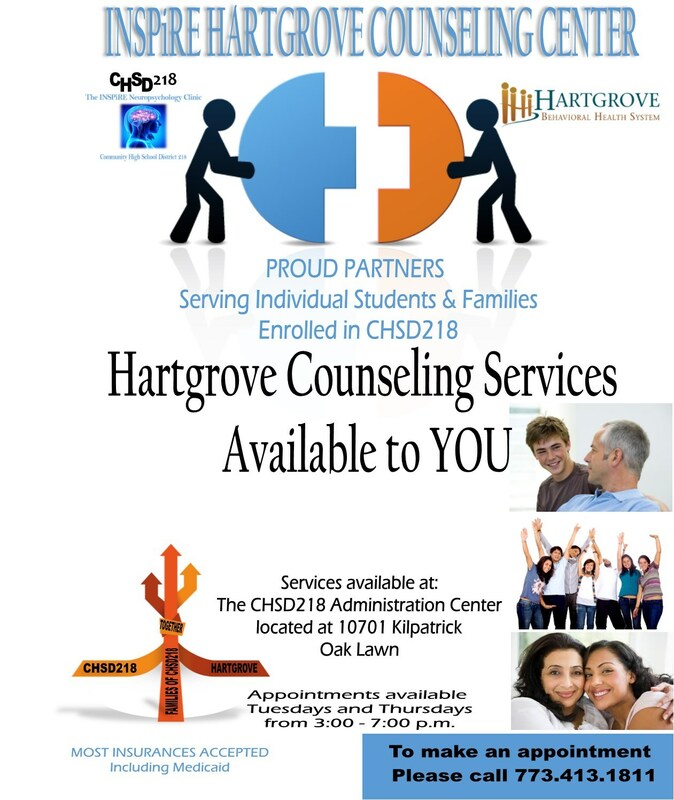 Support Services encompasses the district areas of Health & Well Being for all CHSD218 students. Included under the Support Services umbrella are the departments of Health Services, Counseling & Advising, Psychologists, Social Workers, Student Assistance Program and the INSPiRE Clinic. Each department is designed to assist students and their families as they navigate through their high school career. 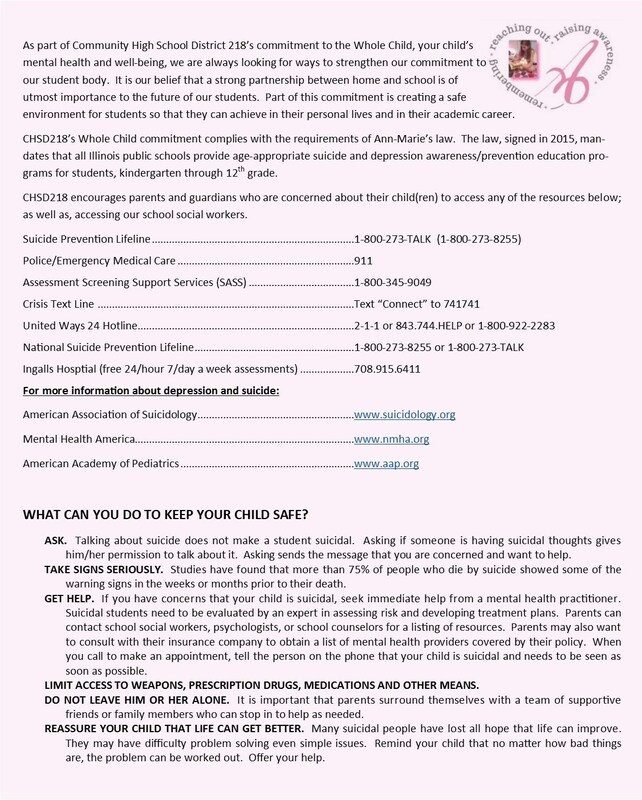 Please take some time to review each page and if you have any further questions, please don't hesitate to contact your school with regards to your child's well-being.